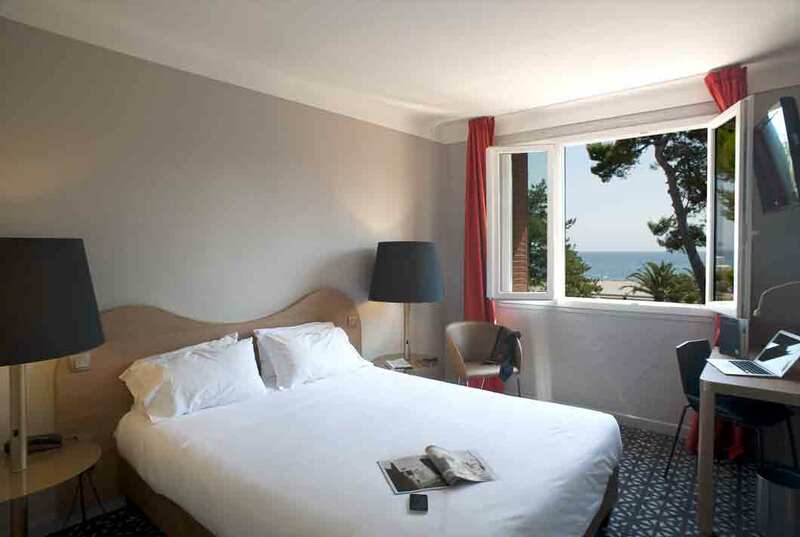 The 14 sea-view rooms at our seaside hotel are perfect for romantic weekends or stays with friends on the Côte Vermeille. Wake up contented and order your room service breakfast, then admire the sea view before going out to discover the town and surrounding areas. 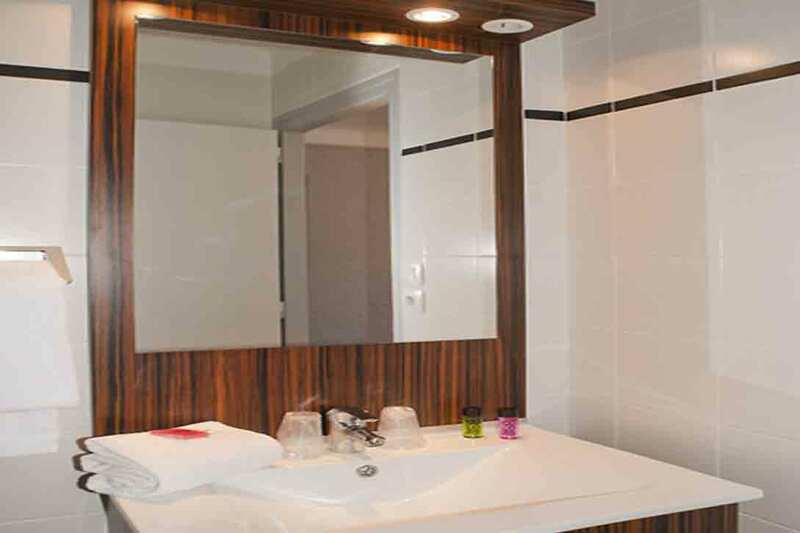 Our sea-view rooms have a surface area of 19 m2. They all have double beds (160 cm x 200 cm) or two twin beds (80 cm x 200 cm). 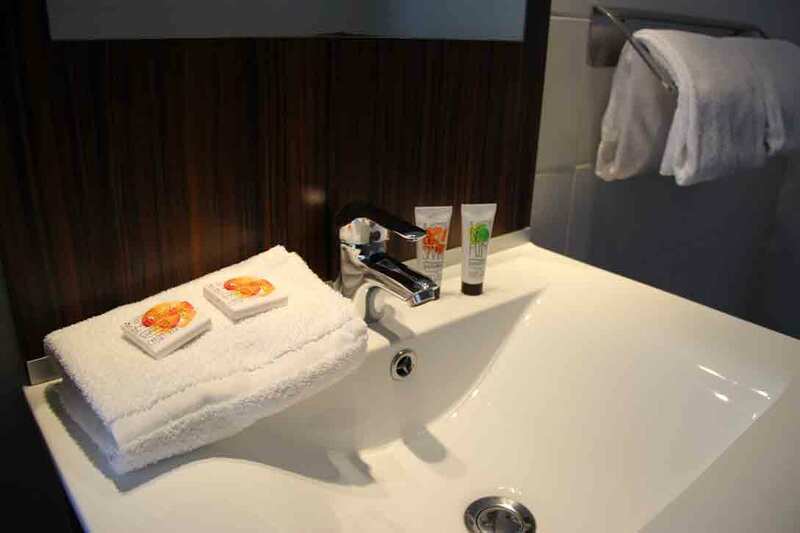 Let us know your preference when you book. 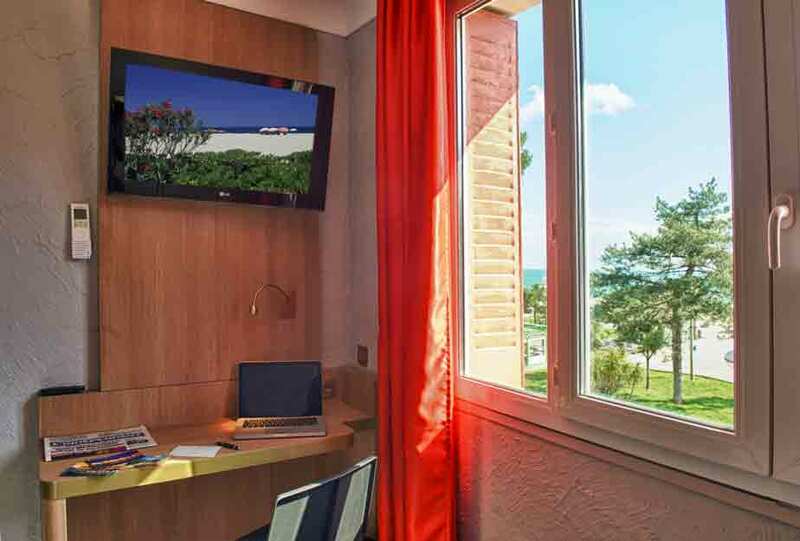 Services provided, including free high-speed Wi-FI, a flat screen TV with a range of channels and a toiletries kit featuring eco-label products, will ensure you have a perfect stay on the Côte Vermeille by the sea on Argelès Beach.